Happy Halloween! I'm Birdy27 of Birdy27 Designs and I'm back with another "bomb-diggity" installment of the Etsy NY team's in-depth interview series, "A Crafty Life." The holiday shopping season is a super busy one for most of our artisans, so this will be the last installment for 2013. I've really enjoyed getting to know the interviewees. Since I started with ACL, we've gotten up close and personal with several talented artisans including a soaper, some jewelers/metalsmiths, a photographer, a "unicornologist," and a "chief bug officer." We've learned about their hopes and dreams, how they created their businesses, their plans for the future, and so much more. Where are you guys from? Of course, ladies go first. Sara: I grew up in a small town in Massachusetts, then spent years moving back and forth, baking bread and pastries coast to coast--from Nantucket to Vermont, San Francisco, Providence, and then to a small island in Pugeot Sound where I learned how to build a house. That's mind bloggling! You can build a house? Sara: Yup, I can build a house, draw up floorplans, construct walls . . . it's pretty handy. Unbelievable! I love whales. Did you see any while you were in the Pugeot Sound area? Sara: I saw whales for sure, especially in the foggy early morning riding the ferry. You lived an amazing life before coming to in New York. What brought you to the Big Apple? Sara: After living on an island with only 400 other people for a couple of years I needed something different . . . like New York City. That was 1997 when I arrived here. Going from 400 people to over 8 million must have been quite the culture shock. Phil: Manhattan; however, I really grew up in Colorado and Kansas City. After a few years playing music in Austin, TX, before the turn of the millennium I moved back to NYC where I always knew I'd eventually land. So you both lived unconventional lives and somehow ended up in NYC. Sounds like destiny to me. I believe I was destined to start a business. Did you dream of becoming entrepreneurs? Sara: Entrepreneurship developed slowly and somewhat by surprise. We were cooking and baking at small restaurants and I started making some hats on the side to sell at a boutique in Willliamsburg where I was also working part time. When we went away on a three month trip to Brazil, I left a number of hats at the shop and they had all sold when we returned. That got us thinking that it could be pretty cool to give it a go as a full time thing. We were fortunate enough at that time to have a little savings, be living in a cheap loft, and have the entire Garment District at our disposal for finding beautiful fabrics and trims to work with. That's an amazing story! As with most of my other interviewees, it seems the Universe had a divine plan for you. Phil, were you planning to start a business? Wow! Jazz composition. I'm impressed. You know, I think there's a construction theme going on here. You both studied building foundations: Sara with houses and Phil with Jazz. Interesting. I sing a little Jazz, so I'd love to hear more about Phil's music background. Sara: Phil is playing a guitar right now. That's his main instrument, though he's quick to learn tricks on any instrument. One of the downsides of self-employment is never having enough leisure time, so he definitely doesn't get to play enough. You may remember the hit band The Hellfire Club, out of Austin. That was one of his many bands. He also has taught guitar and played many solo shows as a singer/songwriter. Leisure time? What's that? LOL! It really says something about our society that skilled musicians have to look outside of their field to make ends meet. Well, now it's time to talk about your current lives as the creators of Rocks and Salt. How did the name Rocks and Salt come to be and what is its significance? Phil: Ah, yes. Well, the origin is pretty clear: happy hour margaritas. The significance may be that working titles might just be perfect after all. That's a great way to pick a name. You two are business partners AND life partners. May I ask about your relationship? How did you meet? Phil: Ah, funny because Sara and I met when I began working at the cafe at which she was working. She was kind of my boss, I suppose. We worked together at that cafe for some two years. We've been together for over twelve years although we're not married. (The best way I've found yet for not getting divorced.) No kids. What are some of the advantages of working with your significant other? Sara: As we've always worked together it feels pretty easy. We often marvel at the many local artisans that we know who manage to do it all by themselves. I know! I could certainly use some help. Can you tell us more about how you divide the tasks? Sara: The divide of skills works out well for us. Phil is handy with the accounting and photography. I do more of the e-mailing and copywriting. The cutting and sewing happens as kind of a group attack, and we travel together for shows in different cities. 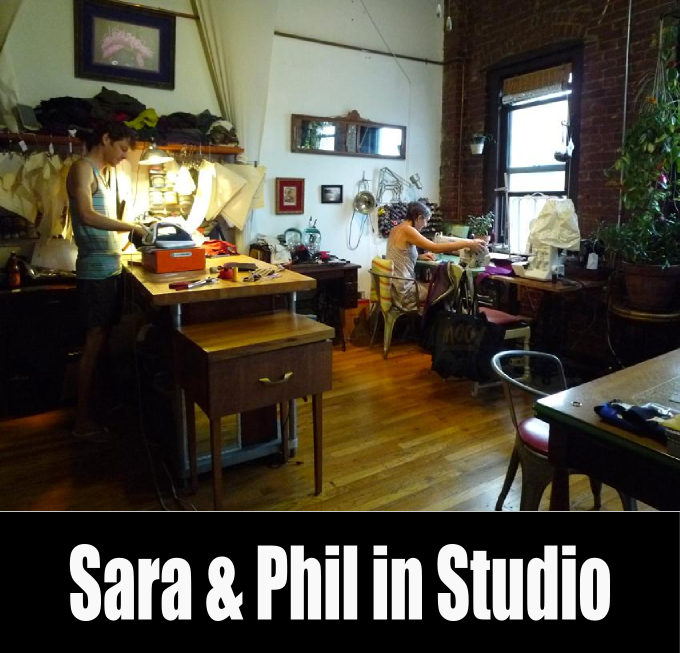 Phil: Sara sews more, I cut more, we design together often, bouncing ideas back and forth, making patterns, sewing samples, etc. Sara does more of the Etsy listings while I do most the photography and website upkeep. I see there is some overlap re: tasks. How do you inspire each other? Sara: When I need inspiration Phil reads to me from a borrowed Clarice Lispector book. For everything else we use wine. White in the summer, red the rest of the year. That "everything else" solution sounds like a lot of fun. Phil: Ha ha, she's funny. She's right about the wine. I also get inspiration from soccer, playing it when I'm in shape, watching it when I'm not, or when it's snowing for like three months. I use to sew all of my own clothes, so I know a little bit about your process. However, some of our readers may not know much about sewing. How do you create one of your items? Sara: The pattern making is the hardest part: lots of trial and error sewing the same thing over and over with little variations each time. Yes! The same thing happens to me when I'm working on a new crochet or knit design. Sara: After we create a pattern that we like, we need to find suitable fabrics; sometimes we think a fabric will be perfect and after we make a hat it looks totally goofy. We call these clown hats, and we've made plenty of them over the years. The sewing process is cutting, pinning, sewing, ironing, pinning, sewing, ironing, repeat. Who does the conceptualizing and designing? Do you sketch the item first? Or do you just go for it? Sara: Kind of a mix. We usually start a new design by batting ideas around together for a few days or weeks and then diving into the hard part, making a pattern. This is usually lots of trial and error from both of us before we eventually hone in on a final pattern that we're happy with. Phil's drawings are really cute, mine are terrible. (They must have been drunk when they gave me that drawing award in high school!) I sketch a basic thing sometimes just so I can remember the idea later. Generally we just pow-wow about an idea and dive in. I always say that I'll never sew again. LOL! I have to do a little sewing for my knit and crochet items, but other than that I don't even like to sew on a button. How did you learn to sew? Do you love it? Sara: I learned to sew from my Mom (thanks Mom!) and I taught Phil. The first thing he ever made was a travel case for his 3/4-size guitar when we went to Brazil. He made it out of an old pair of corduroys and it was awesome! Phil: I did learn a bit from my Mom when I was young. I love sewing generally. I find it super interesting in the sense that going together everything seems upside down, backwards, and crazy, then you flip it and pull it through and you've got this beautiful inversion of craziness. That said, at the end of a very long day I often find myself saying I'll never sew again either. I may not sew any longer, but I still love fabrics. I imagine you use different fabrics for different items. Sara: You know that feeling when you go to the fabric store and you want all the fabric? More fabric than you could ever have enough projects for? Yes, I remember that feeling. Now I have it when I'm shopping for yarn. Sara: One of the best things about our work is that we get to get all of those fabrics and make stuff with them. The seasons always seem to change just when I am tiring of the last season's fabrics, so it's perfect. It's wool season now and I'm loving all of the beautiful weaves. We found some gorgeous wools this year. You seem to have a knack for picking the right fabrics for the right pieces. Now I HAVE to ask about the "belt bags" or fanny packs. What led you to resurrect the infamous '80s icon? How did you manage to make them cool again? Sara: This was totally Phil's genius. He came home one day and said that we should make an updated fanny pack. We talked about it a bit and then I started cutting fabric. Somehow the first one came out just right. And yes, they've been pretty darn popular. We make them in "denimy" cottons and have fun finding crazy colors or shiny glazed fabrics for them as well. This past spring I started working on a design for a second style and it turns out that bag design is really hard. I don't know how that first one came together so perfectly! That's another wonderful story. Who knew fanny packs could be so modern and cool? We've talked about your hats and belt bags, but you offer more. Please tell us about your various lines. Sara: We've got the fanny pack, the asymmetrical hemline skirts with the stretchy bamboo waistband, and a variety of hats. This spring we started a line of whimsical tea towels. I love hats and I see you guys do to. What is your philosophy re: fashion for noggins? Dressing heads can be a little tricky. Sara: Sometimes when we're at a craft fair someone will tell us, "I'm not cool enough to wear this", which is just not true. 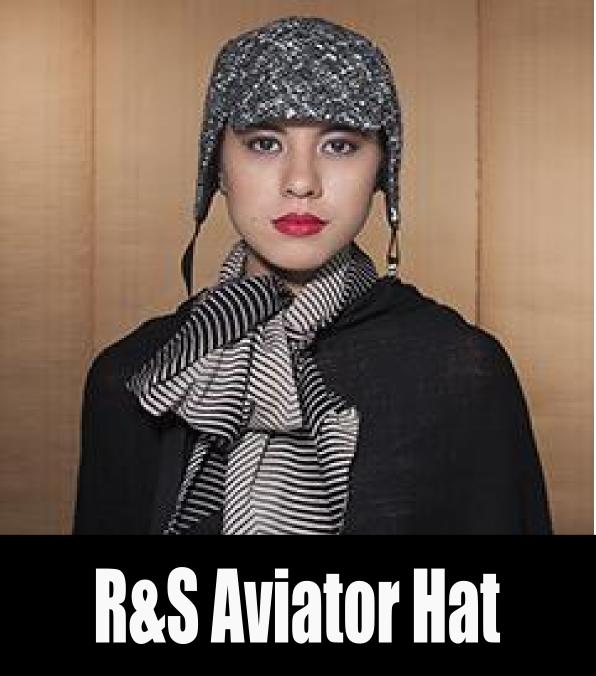 We make hats for everyone. 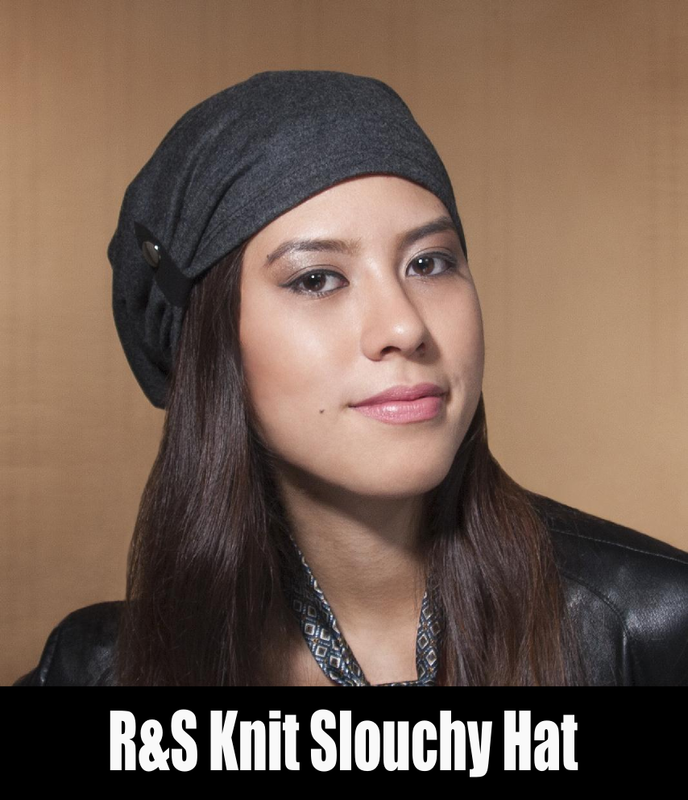 We want to cover your head in something stylish and comfortable, and by comfortable we also mean that it just feels right on you. People can be very self-conscious about their heads because heads are right there on top and it's the first thing that other people see. We want people to feel great in their head! Yes, I meet people all of the time who say they don't look good in hats. Or they'll try one on and it will look great, but they have their own ideas about what looks good on them. One of the most important design tools for me is my mannequin head, Roxanne. If it doesn't look good on her, I go back to the drawing board. You use a very unique mannequin head. How many do you have? Do you name them? Sara: Ha! Our primary model is Crystal. She's a glass head made in Spain via Pier 1. We have about six Crystals. We also have a very cool elegant vintage mannequin named Snowflake and another more Iron Curtain looking one named Katya. Phil: They tend to be kind of quiet and they're pretty hard workers with no obvious drug habits. LOL! Yes, Roxanne doesn't eat much and she never complains. Your items are so well constructed. That might be the first thing I noticed. Sara: One of the best things is when we run in to someone wearing a hat or a bag that's years old and still looks great. Thanks again, Mom, for teaching me how to do it right. Yes! Thanks to all the moms, grandmoms, dads, and granddads for teaching us so much. You mentioned the new tea towels. Can you tell us about them? 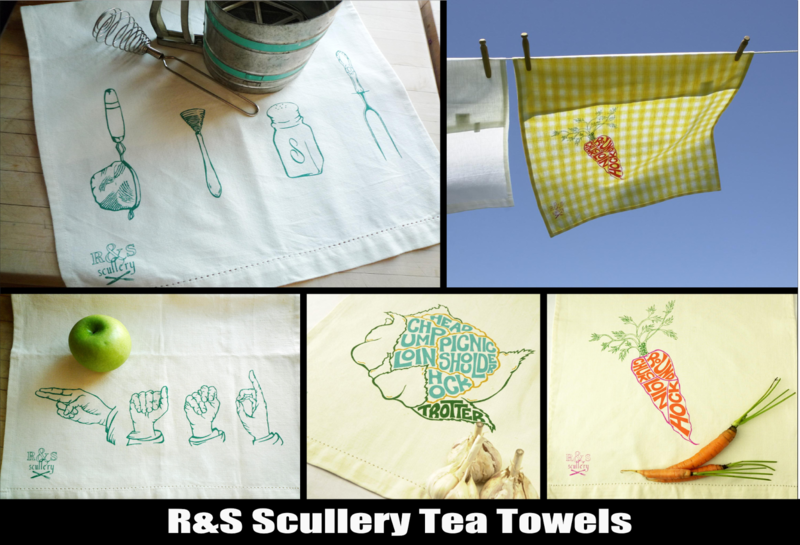 Phil: We open a second shop--a spin-off type brand called R&S Scullery, a new line of kitchen accessories beginning with a collection of hand and dish towels screen printed with our original illustrations. 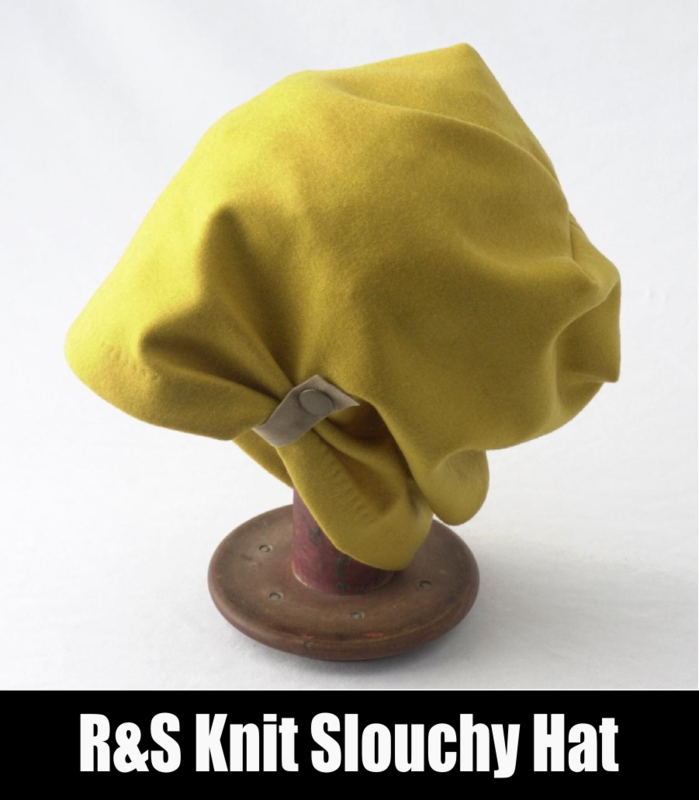 You can see it all at our R&S Scullery Etsy shop. You've got a great selection of tea towels. How did this new line come about? Sara: For our tea towel line, we had been talking about some of the ideas for a couple of years and finally got around to drawing the artwork this spring. The designs are so unique. Do you do the silk screening yourselves? Sara: We knew that we wouldn't have time to produce the towels on top of the hats and everything else, so we did a bit of research and found a local print shop run by a lovely couple that is doing the screening for us. We're looking forward to adding to the line with time; we already have more ideas. I tend to offer a lot of styles. How do you decide what will be the mainstays of your lines? Sara: We're always trying to make more than we actually can, which means that some very cool stuff falls by the wayside as we focus on producing our best-sellers. Speaking of best-sellers, what are yours? Sara: Throughout the year pretty much all of our styles get a chance to shine as the best seller of the season. 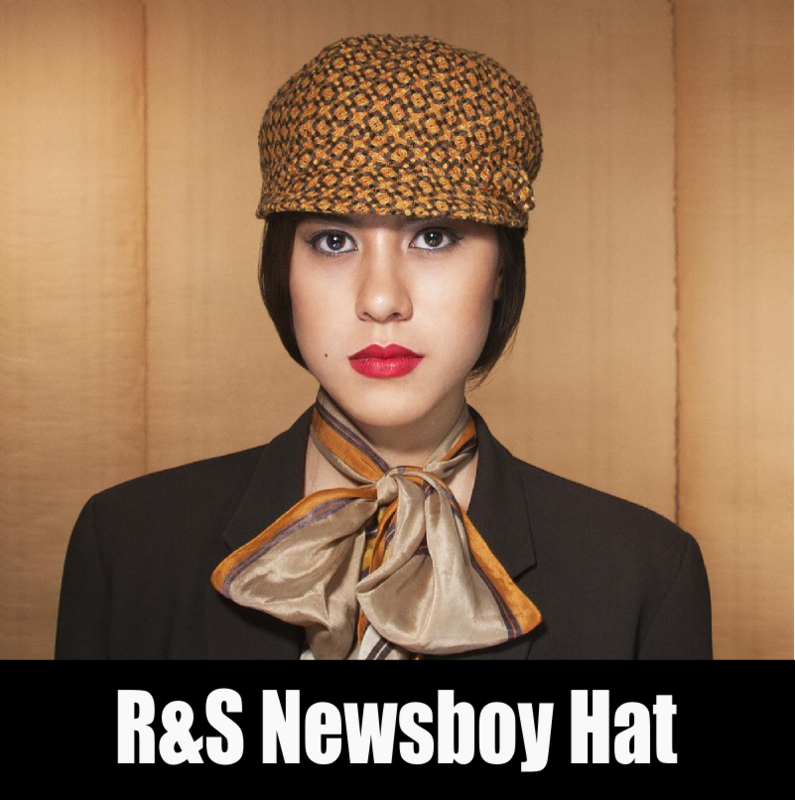 Janis, our newsboy, is popular year-round, but as the days grow warmer we start to sell more belt bags and then sunhats, and then floppy hats. 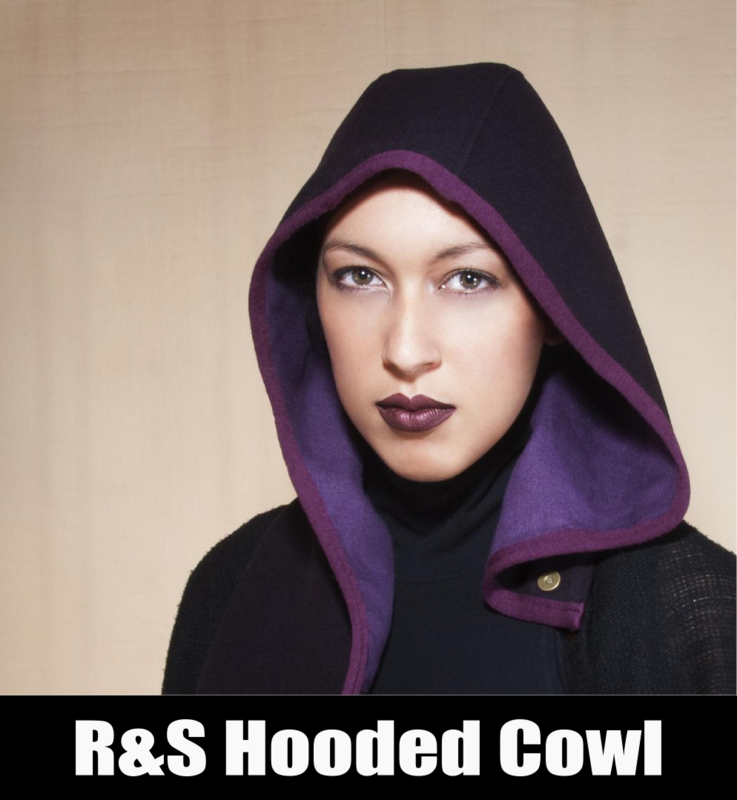 Then as autumn settles in and becomes winter, our knit hats, woolen aviators, and hooded cowls rein. You create wearable items for your Rocks and Salt line, so let's talk about fashion. Do you follow trends? Or do you consider your style timeless and "trend proof"? Sara: Yeah, I guess we do make fashion, but we don't really think about it or focus on it, although living in the fashion playground of Bushwick [Brooklyn] surely has an effect on us and our work. Have you ever been featured in a magazine, on TV or in a film? Any celebrities rocking your gear? Phil: I know Elizabeth Berkley has one of our hats, as does Eva Mendes. Ricki Lake has a belt bag and a sun hat. We've had print press in Lucky Magazine and Curve. 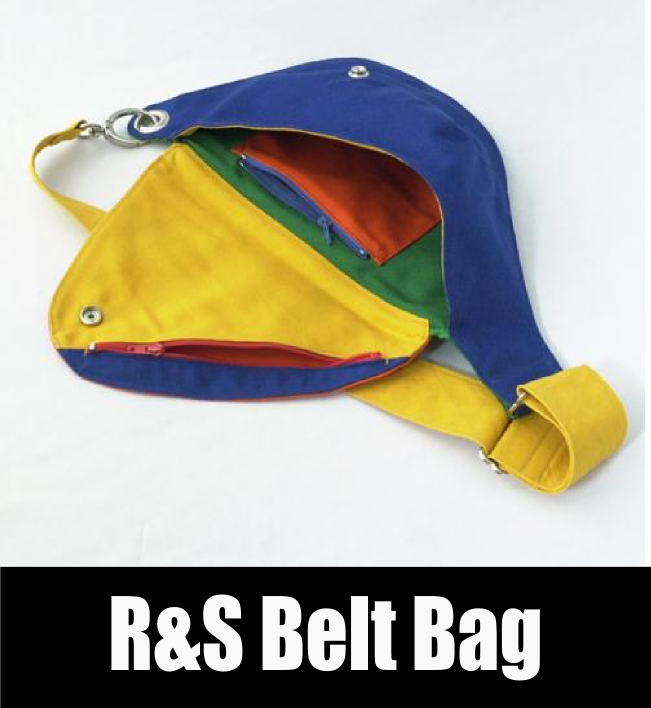 Recently our belt bags were on The Today Show with Kathie Lee Gifford and Hoda. Congratulations! Media exposure can make a big difference in sales. Do you do custom work if people request it? Sara: Yes, but not custom in the sense that someone can say "can you make me a hat with a loopy thing over here and some Lilly hanging from the top." But "can you make me this style in this fabric in this size"? Sure. Yes, I have a similar rule. I do "made to order"--like one of my styles in a different color--but I no longer do a brand new design for someone. I learned my lesson the hard way. LOL! Sara: Exactly. Pattern making is so time consuming that it's basically cost prohibitive to do custom work from scratch for someone. What works best for you? Selling on Etsy or at craft markets? What about wholesale? Phil: Our model is dependent on three streams of revenue: shows, Etsy, and wholesale, in that order. We hope to grow the online sales with both brands and the wholesale end with Scullery. That makes sense. Where do you live? Do you have a dedicated studio? What is your work space like? Sara: We've got a decent sized live/work loft space right in the heart of Morgantown, Bushwick. We can look out our window at pretty much any hour of the day and find inspiration from anarchists, jugglers, graffiti artists, tourists, hipsters, skateboarders, and scaffold builders. The windows are all at the front end of the space and that's where the sewing machines are. You have a great studio. The large windows in the front of the building provide lots of natural light which is essential for what you do. Let's talk about social media. Do you have a blog? Sara: But seriously, how do people find time to blog on top of everything else? It amazes me! I totally agree! I know it can be helpful, but how you can do it all? Are you guys on any social media sites? Sara: Yes. Here are the links: Rocks and Salt on Facebook, Rocks and Salt on Instagram, and R&S Scullery on Facebook. How many craft fairs do you do per year? Sara: Maybe a couple a month. We've been traveling a bit to some of the bigger annual ones. It's a fun way to get to visit new cities. So is that your strategy? You don't do many smaller markets and you don't do markets every weekend. But you go big with large out-of-town markets, increase your nationwide exposure, and make your time count? Sara: There is a very vibrant market scene in NYC right now. Pretty much anywhere anytime you can come across a market, and we've sold at most of them. Lately we've been enjoying discovering new cities and making out of town friends on the indie craft fair circuit. We had a very awesome car forabout six years, named Beth. 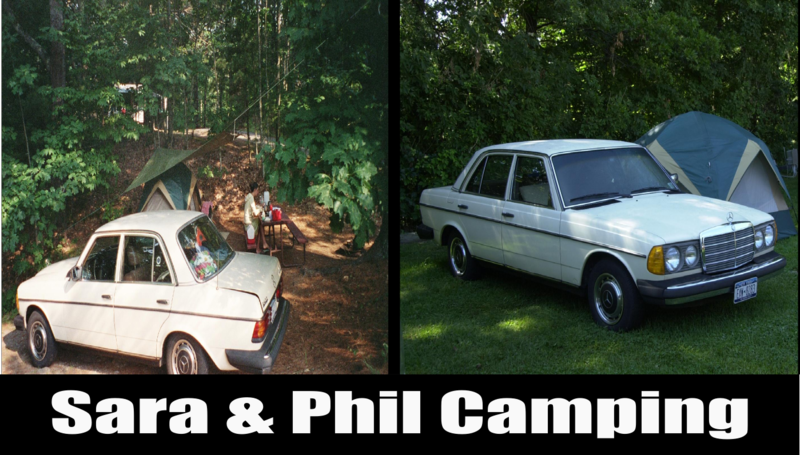 A 1978 Mercedes 240D that we drove all over the Eastern Seaboard and even out to Pittsburgh and Chicago a few times. We had to take out the back seat to fit all of our craft fair gear in the car. We sold her in September to a lucky guy in Long Island and have been trying to decide what to do about another vehicle. Here we are camping at Newport Folk Festival and packing up after Artscape in Baltimore. How creative! Camping is a great way to cut costs while traveling. I always like to ask the interviewees about marketing since it's so challenging for most creative people. How do you approach marketing and advertising? Phil: Luckily I guess, Marketing is interesting for me. I wish I had more time to put more strategic energy into it. I like to think about collaborations and partnerships. I would spend more time pushing for media coverage if I could. Marketing gurus always talk about knowing your customer. It seems you have that figured out. Can you describe one of your typical customers? Phil: Oh, one of our typical customers. 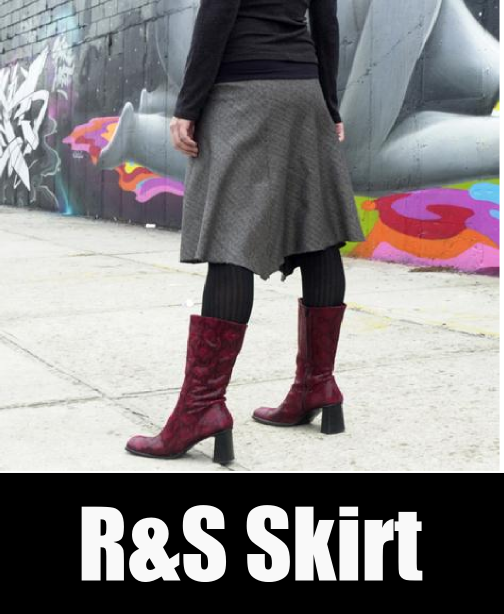 18 - 45 urban or semi-urban woman who likes cute, quality, stylish, and functional fashion. Sounds like the modern woman. Have you been able to join the "quit your day job" club? Is your business self-sustaining? LOL! Phil, you are a very funny guy! Nope. If you don't need to join the day job club, well, that's a good thing. Let's talk about the tricky subject of pricing. How do you handle it? Phil: In a sense I think pricing is easy. I say easy because it's very easy to change, you just change it. How your products are positioned in your customers mind, or reaching new customers I find more difficult. I know what you mean, though, about wholesale price, retail price, costs, etc. . . . all important considerations. Good point. Pricing can be a fluid thing. I'm becoming more interested in fashion photography. Your photos have a high fashion look. Do you do your own photography? If so, how do you approach it? Sara: The photography is always a challenge. Thanks to family we have a really good camera (thanks Dad!) and a photo tent that helps with even light and a white background (thanks Nathan for the tent and the countless photo tips!) Those things coupled with years of experimentation have allowed us to begin to get consistently decent shots. 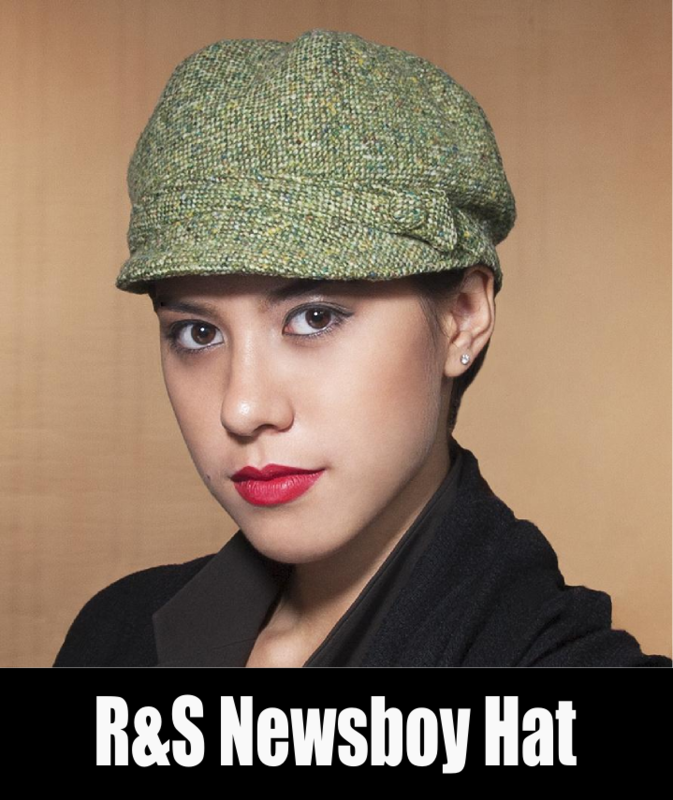 The hard thing is that for hats you really want modeled pictures, and that's a whole other thing. We recently did a shoot with our friend Jeffrey, Mr. Means, a professional photographer who got some beautiful modeled shots for us. Yes! 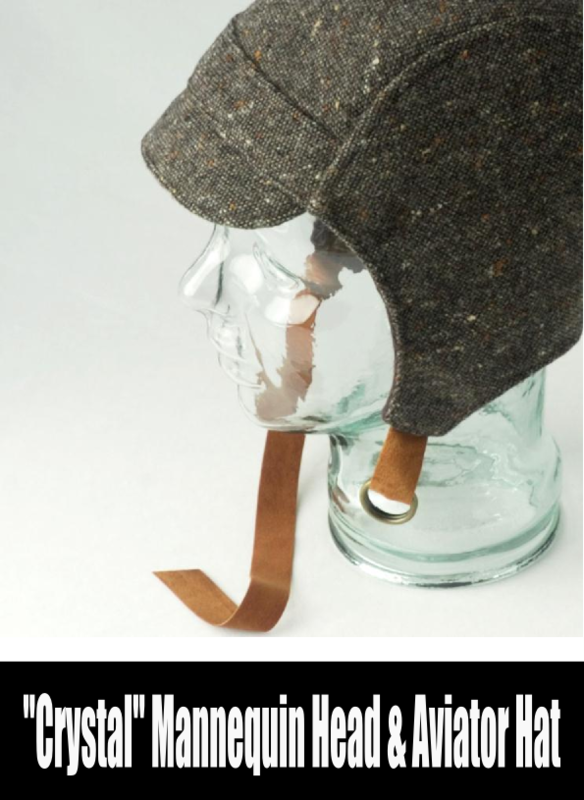 I agree about hats. I don't put any items in my Etsy shop unless I have photos of them on my models. But that takes time and scheduling can be difficult. I really love the new photos and your model. Let's talk "green." Do you consider your work eco-friendly? Phil: Yes, we do in many senses. Not really in our materials, but in our behavior; that is, working from home, shopping at farmers markets and cooking vegetarian food, shopping consciously, and generally leaving a very light and responsible footprint. Speaking of cooking vegetarian food, I eat as a vegan with the exception of a little honey once in a while. I heard it through the grapevine that you are both vegetarians. Is this true? Sara: Guilty as charged. We were vegan chefs and bakers for years before we started making hats. We generally cook vegan at home but do have a fair amount of cheese in our diets. I also started making my own yogurt. Basically, we like food and cooking! You must have incredible meals! Sara: Ha, we are not starving, that's for sure! I'll contact you later for some tips. What about your families? Do they help you? Sara: We are fortunate to have incredibly supportive families. They even help sew when they come to visit! Sara: Five years ago I was 37 and could never have guessed where I'd be today. One thing that I've learned with age is that you can plan all you want, but things just happen; so we'll see in 2018 what's happened. I hate that this interview is coming to an end. But it's time for the last question. How has being part of the Etsy NY team helped you? Sara: The Etsy NY team is such a great collective of interesting people in our area doing the same kind of thing we're doing. It's an indispensable resource of helpful information and moral support. I can't thank Sara and Phil enough for such an insightful interview! I know Rocks and Salt will continue to grow and thrive. I wish you both even more success--however you define it--in the coming years. This may be the last "A Crafty Life" interview for 2013, but I'll be back in 2014 to introduce you to more fab Etsy NY team members. 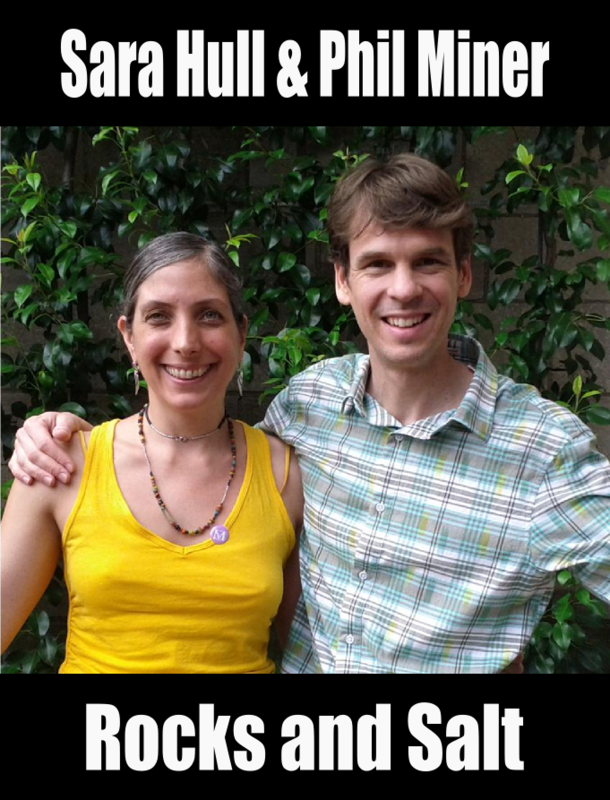 Please check out all the past interviews in the "A Crafty Life" series. You'll learn so much! This is Birdy27 signing off. Please support the handmade community, especially this holiday season. Successful creative artisans can change the world. Chirp, chirp! I want to thank Dina for "bug"-ceptional interview! Dina, Gerd, and Bugged Out show how inspiration, creativity, determination, and team work can turn one design into a true New York success story. I hope you enjoyed this month's "A Crafty Life" and are inspired to make your own creative dreams come true. This is Birdy27 signing off. Please support the handmade community. Successful creative artisans can change the world! Chirp, chirp! Stephanie, interviewing you was a joy! Thank you so much for sharing your story. You are an gifted jeweler, an unstoppable force, and an inspiration to us all. The Etsy NY team's 2013 Spring Handmade Cavalcade on Saturday, May 4! 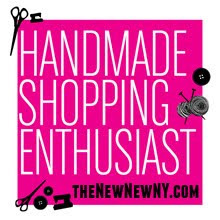 If you're looking for the best handmade market in the New York area, look no further. And later in May, I'll bring you another thrilling installment of "A Crafty Life." This is Birdy27 signing off. Please support the handmade community. Successful creative artisans can change the world! Chirp, chirp! 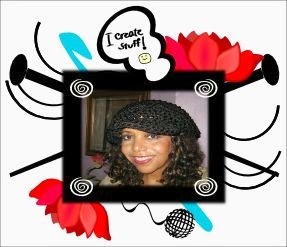 Birdy27 is an actor/writer/singer/songwriter/graphic designer/ knitter/crocheter/yarn-based accessories designer/jewelry maker/entrepreneur and founder/president of Birdy27 Designs. Please join the action at the Birdy27 Designs Facebook Fan Page. Awesome and inspiring. Sara and Phil are wonderful, creative and kind. It's great to read about their process and inspiration! Thank yo! Such a fun and charming interview. Impressive to see all the multiple aspects of the business. Congrats! What an awesome interview. I feel like I was in the room with you folks. Great to learn how other creative minds got started and put their ideas into successful products. thanks for all the wonderful comments! glad you enjoyed the interview. 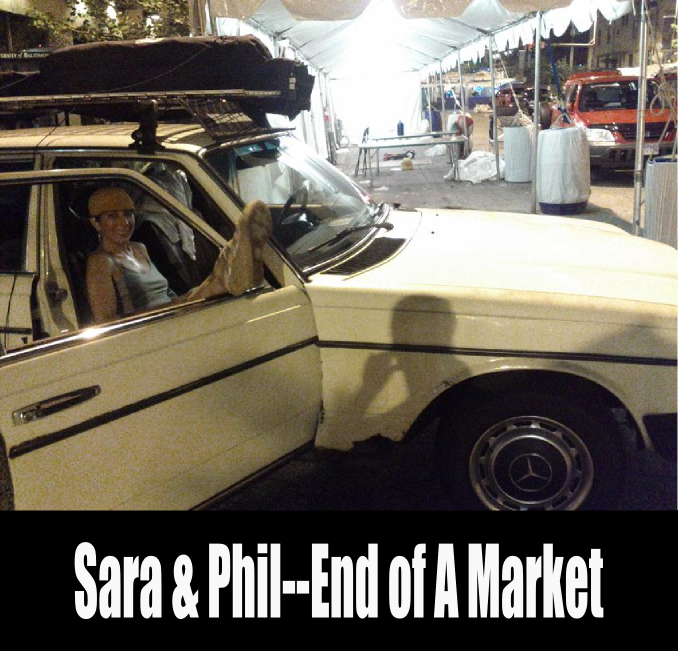 and thanks, of course, to sara and phil for sharing so much of their lives and their business with us. fantastic!